Adorable - you are my inspiration for 2018. Just completed a huge move and the next few weeks are all about getting settled! After that I’m on a mission to complete what I set as goals! Oh my gosh...these are just adorable and they do look like "mother and baby". I really do think everyone should have a llama quilt of some kind...even if just a small wall hanging or table top. Love it!!!! I love the momma llama and baby idea. They’re perfect together ❤️ Great fabric choices, too! waaaaay cute ... there were llamas by Melissa's middle school that spit at the kids who walked by, so she is not a fan or i'd probably be making one of these, too ... i'll hafta be careful to NOT let Sam see this - his little friend's name is Lloyd (he calls him la-loyd - Sam is hooked on phonics) and he would be asking for a quilted llama. So fabulous! And the fabric chosen for the fur is perfection!! So cute Thelma!! Trying hard not to add it to my list but I may just have to order that perfect Gigibear bear...just in case! I just finished making a version of their sweet baby quilts using the fun panels as a start and I do love the clever prints, basics with. Twist in those lovely blacks That are hard to find. And I am so glad you are feeling better so far we have escaped the flu but 2 family members ended up hospitalized. Thank goodness both recovered well. Have a great week! Bbeautiful! I can't wait to get back to sewing. But house renovations continue! You've outdone yourself Thelmanizing the llamas! Adorable! Very cute, it will make a great gift for your daughter! 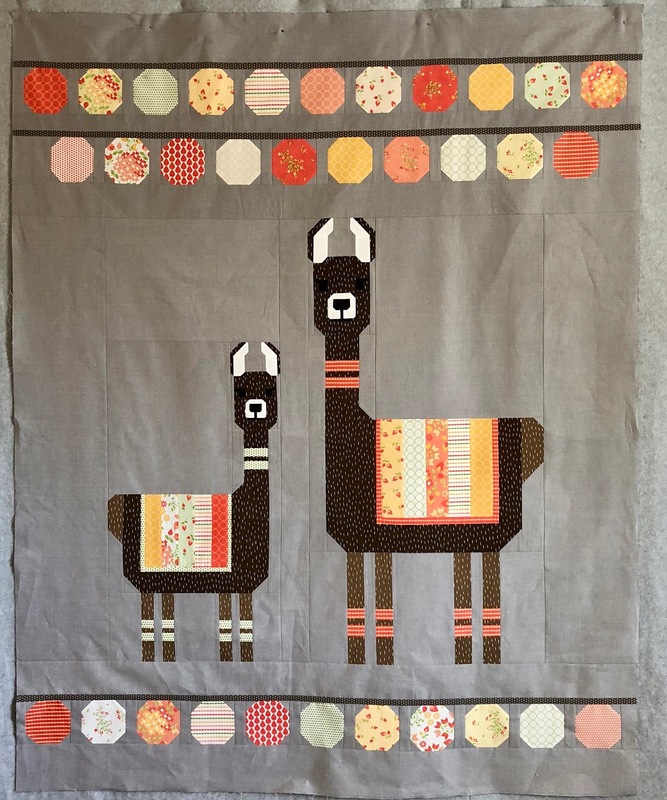 Love this cute quilt! Your colors are great. I want to tackle one of the Elizabeth Hartman patterns in 2018. Oh this is just sooo adorable! I love it! So glad you are feeling better. January was a tough month for colds and flu here. I'll bet your daughter loved it! 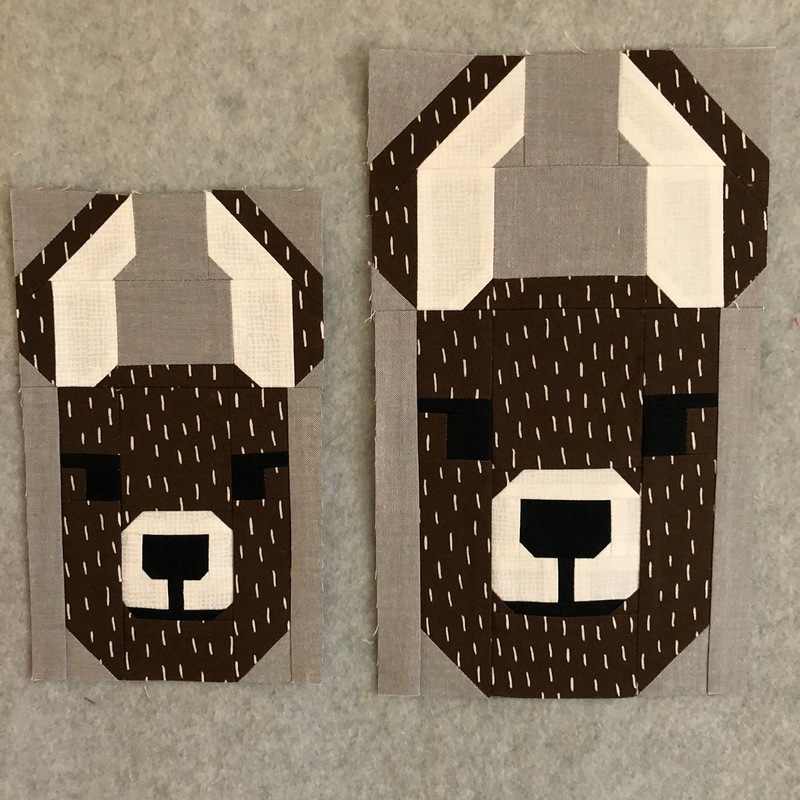 I made this quilt last year, and you're right - the face does take some time with some very small pieces! I love your color choice. I used teals and purples. OMG! 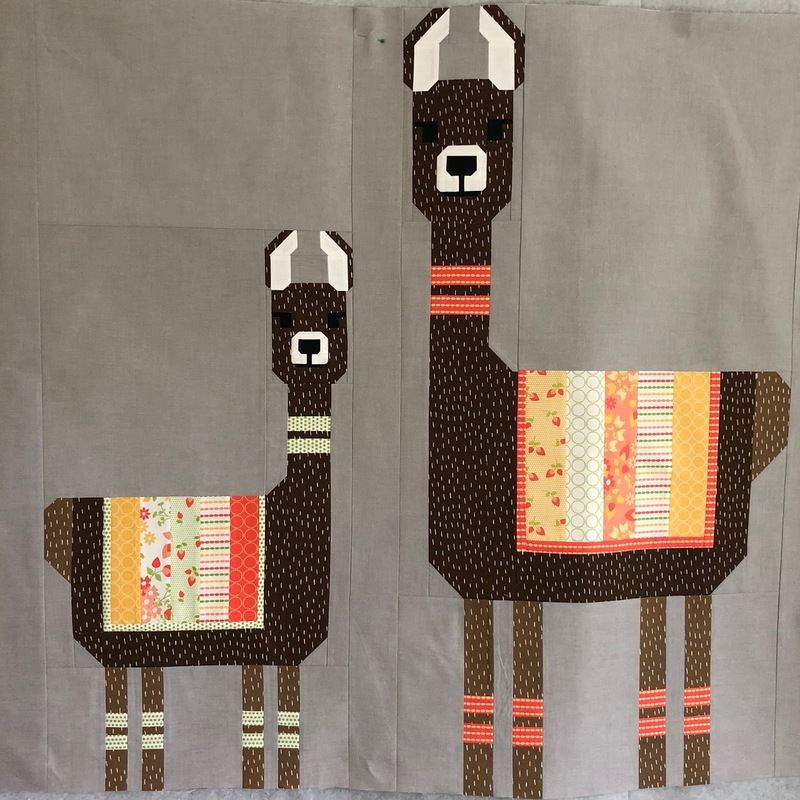 Your llama quilt is just simply adorable. Loved how you made it your own by adding the baby llama. Super CUTE! I bought this pattern recently. I love your fabric choices for this quilt. 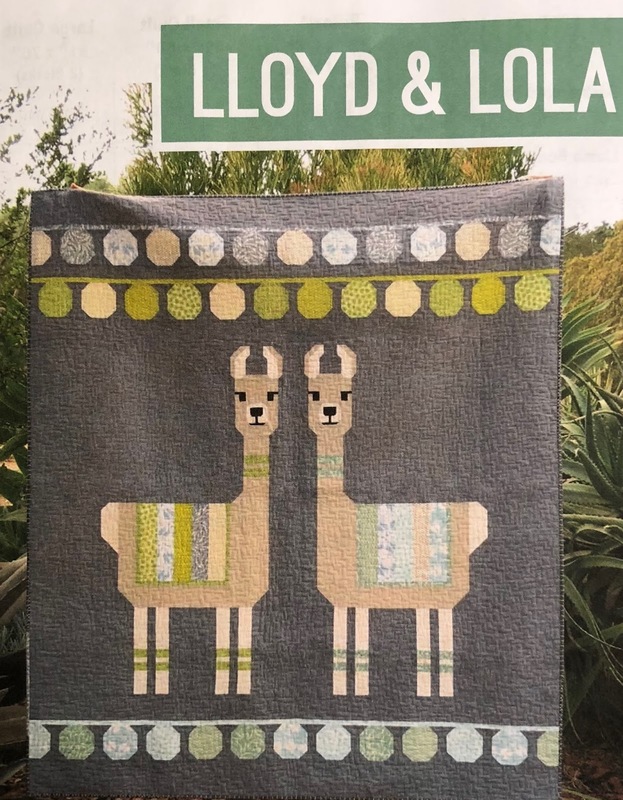 I too love the mama and baby llamas.